If you are part of an organization that benefits cardiovascular diseases, cancer, inflammatory diseases such as scleroderma, diabetes, pulmonary hypertention, 40% of your purchase placed with us will be donated towards your organization. Feel free to contact us for more information. In today’s non-stop culture, it is hard to go a day without feeling stressed. Many of us would like to get rid of it, but stress is a necessary part of our lives. In The Holistic Approach to Stress, Dr. Ashraf Girgis tries to get to the root of the problem and discusses how to live with stress while avoiding its countless detrimental effects. She presents a host of key tools to manage your stress, addressing nutrition, herbs, homeopathy, exercise, practical techniques, and more. With in-depth analysis and quick tips, this book will not only change your perspective on stress management, but will remain an excellent reference for years to come. In a world filled with hate, it is good to step into the Path to Love. 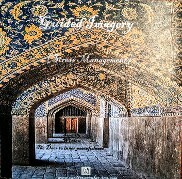 This 38-poem collection by Ashraf presents a myraid of issues ranging from LOVE to WAR and to relationships . With the emphasizes on the beauty of the here and now . Researchers estimate that stress contributes to major illnesses, including cardiovascular diseases, cancer, metabolic diseases, skin disorders, endocrine diseases, and infectious diseases. Progressive muscle relaxation is one of the techniques used to overcome symptoms of stress. 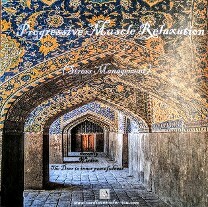 In this audio CD, Dr. Ashraf Girgis guides you through the process of progressive muscle relaxation and helps you master the skill for yourself. (Introduction: 6:24 Exercise: 12:20 Total run time: 18:44). Researchers estimate that stress contributes to all major illnesses, including cardiovascular diseases, cancer, metabolic diseases, skin disorders, endocrine diseases, and infectious diseases. 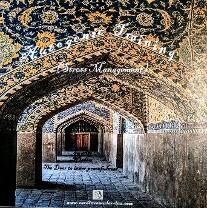 Autogenic training is one of the techniques used to overcome symptoms of stress. In this audio CD, Dr. Ashraf Girgis guides you through the process of autogenic training and helps you master the skill for yourself. (Introduction: 7:41 Exercise: 17:14 Total run time: 24:55). Researchers estimate that stress contributes to all major illnesses, including cardiovascular diseases, cancer, metabolic diseases, skin disorders, endocrine diseases, and infectious diseases. Guided imagery is one of the techniques used to overcome symptoms of stress. In this audio CD, Dr. Ashraf Girgis guides you through the process of guided imagery and helps you master the skill for yourself. (Introduction: 7:36 Exercise: 15:33 Total run time: 23:09). Copyright 2014-2017 Web Page Design by Web.com Group, Inc.